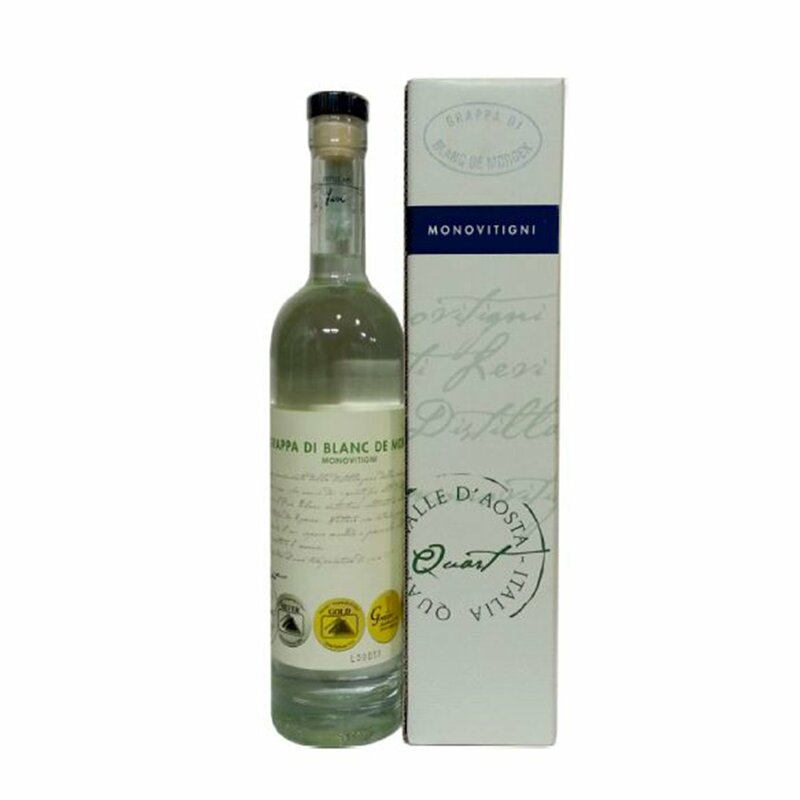 Grappa Blanc de Morgex produced by Levi is obtained from the distillation Blanc de Morgex wine pomace from Europe's highest altitude vineyards, where Prié Blanc grapes are grown, a native variety that has been cultivated in Valle d'Aosta since early Roman times. This pale coloured grappa, which gained first prize at the XXVI edition of the Alambicco d’Oro competition, offers an irresistibly intense aroma of the fresh grapes. The flavour is velvety on the palate, with undertones of russet apple and pineapple. Alcohol: 40% vol. Serve this delicious aqua vitae after dinner with a fine chocolate, or savour it alone in a moment of reflection. The Levi family has specialised in distillery art since the 17th century. The long experience of the master distillers results in superb quality grappas produced in a style that meets with the preference of true connoisseurs.